Fit for a Queen! 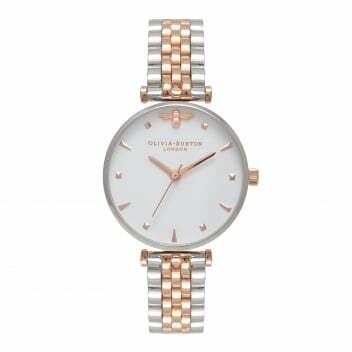 This beautiful watch marries classic styling and contemporary detailing. The t-bar strap is elegant and bold, whilst the plain dial is given character by the mini bee at the 12 o'clock mark. We love the vintage styling of this watch. Why not pair with a simple tennis bracelet for a glamourous day look.